Do you connect with the color blue in its various frequency tones? Have you been drawn to blue more frequently as of late? Have you been dressing in blue? Painted your room blue? What else have you changed to blue? Do the flashes of white light, the soul sparks, often appear blue to you? Are they getting larger and more frequent? Blue bloods: The bloodline that carries the encoded genetics for the next evolution, DNA, blood, alchemy, blue, white and gold are their colors. Do you connect with, or dream about, the Blue Lady? Isis? Blue aliens? The best things in life come 'out of the blue'. Synchronicities are created in the blue frequency. This reality ends in mid-night blue. Some believe that to travel in the blue frequency is to travel into the future. As you sit at your computer, focus on the white dot in the image above for 5 seconds, or more. Count backwards slowly ... 5, 4- 3- 2- 1. Close your eyes and surround yourself in shimmering blue light. Take two slow deep breaths. 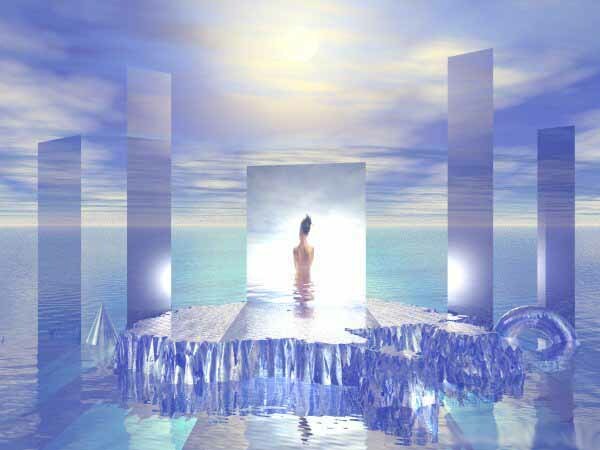 Relax ... You will travel into the blue ray, frequency, to get a message. 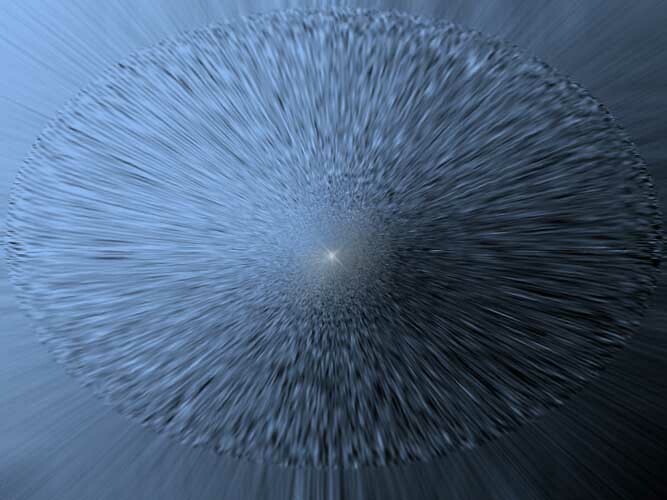 For an Initiation in the Blue Frequency ... create a space that is free of distractions. You can use soft music, blue crystals or gemstones, candles, aromas, whatever calls to your soul. Surround yourself in the blue frequency once again. Close your eyes. Breathe deeply and evenly, taking 3 slow deep breaths. See a pool of blue shimmering water. Enter the pool. Wade through the water slowly. Your clothing will fall away. Emerge on the other side, of the pool, where new garments in blue will appear. Continue on into the blue light. There is much to see and hear as the tones of blue have a magnificent resonance. You will not return the same.